BUGWERI- The race for the Bugweri District Woman parliamentary seat looks set for a tough contest after one of the losers in the National Resistance Movement (NRM) party primaries opted to contest as an Independent. Ms Amina Mutesi, who lost to Afrigo Band’s Racheal Magoola in the NRM primaries held last month, on Thursday announced that she will stand as an Independent, saying the ruling party primaries were married by irregularities and rigging. “The elections were marred by irregularities but I have decided to return and contest as an Independent in the general election,” she told journalists in Idudi Town flanked by her supporters. Ms Mutesi displayed what she claimed were pre-ticked ballots found in the sub-counties of Makutu and Igombe. Her coming into the race complicates matters for Ms Magoola, who is viewed as the favourite. In the primaries, Ms Magoola garnered 13,172 votes, followed by Ms Mutesi with 6,691 votes while Ms Rose Birabwa and Ms Monica Musibika polled 5,667and 1,409 votes respectively. Muziransa Faraji won the party flag for the LCV seat. The NRM Electoral Commission on November 22 successfully concluded the party primaries in all the eight districts of Kasanda, Bugweri, Kwania, Nabilatuk, Kapelebyong, Kikuube and Hoima. 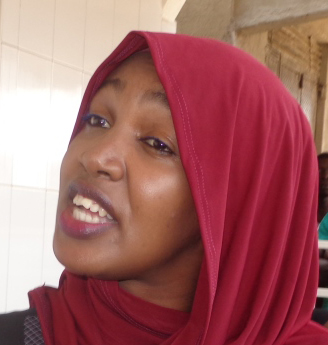 In Nabilatuk, Awas Sylivia Vicky gathered 5,874 votes (49%) to beat her closest rival Maniman Akol Risa with 5245 (43.7) in a tight race for the District Woman MP seat. The two were separated by only 629 votes. Lokol Paul is the LCV seat Flag bearer with 7,314 votes representing 60.4 % of the total votes cast. Sembabule newly appointed RDC Businge Harriet defeated Hoima Municipal Mayor Mugasa Grace Mary to take the District Woman seat in Hoima. EC Chairperson Dr. Tanga Odoi declared Businge the winner with 17,747 votes (53.9%) against Mugasa’s 10,689 (32.5%). Acola Judith Iyer Ogwang won in Kwania with 14,652 votes (62%) to register the highest victory percentage of the day. EC’s Irene Acham officially declared her the Woman MP flag bearer. Abili Nelson is the LCV seat winner with 12,352 votes (52.3%). His closest rival Oyuku Jimmy took 8940 votes (37.8%).